MSRP $44,525.00 ~ Certified ~ Black 2018 Mercedes-Benz C-Class C 300 RWD 9-Speed Automatic 2.0L I4 Turbocharged ~ 18" Twin 5-Spoke Wheels ~ Blind Spot Assist ~ HANDS-FREE ACCESS ~ HANDS-FREE Comfort Package ~ Heated Front Seats ~ Homelink Garage door transmitter ~ KEYLESS GO® ~ Power moonroof ~ Premium Package ~ Rain sensing wipers ~ Rearview Camera ~ SiriusXM Satellite Radio. Manufacture CERTIFIED UNLIMITED MILEAGE WARRANTY good thru 03/31/2023. Recent Arrival! 33/24 Highway/City MPG Mercedes-Benz Certified Pre-Owned Details: * Roadside Assistance * Limited Warranty: 12 Month/Unlimited Mile beginning after new car warranty expires or from certified purchase date * Transferable Warranty * Vehicle History * Warranty Deductible: $0 * 164 Point Inspection * Includes Trip Interruption Reimbursement and 7 days/500 miles Exchange Privilege Mercedes-Benz of North Olmsted is the largest volume Mercedes dealer in the Central U.S. Our superior customer service has led Mercedes to honor us as a "Best of the Best" dealer for 11 consecutive years. We pride ourselves on having the finest pre-owned luxury inventory available, and aggressive pricing that's well below Kelly Blue Book. Allow us to serve you by arranging for vehicle shipping to your doorstep, personalizing a virtual vehicle walk-around, or assisting with any questions. Call us now at 440-716-2700 to speak with a sales professional and confirm vehicle availability. Priced THOUSANDS below MSRP $47,125.00 ~ "SPECIAL OFFER" of 1.99% finacing for up to 72 months ~ Contact one of our sales professionals ~ Black 2018 Mercedes-Benz C 300 4MATIC® ~ 9-Speed Automatic ~ 2.0L I4 Turbocharged ~ Auto tilt-away steering wheel ~ Auto-dimming Rear-View mirror ~ Blind Spot Assist ~ Burmester Premium Sound System ~ Comfort Suspension ~ Crystal Grey Fabric Headliner ~ Electronic Trunk Closer ~ Exterior Parking Camera Rear ~ HANDS-FREE ACCESS ~ Hands-Free Access Package ~ HANDS-FREE Comfort Package ~ Heated Auto-dimming door mirrors ~ Heated Front Seats ~ Heated Steering Wheel ~ KEYLESS GO® ~ LED Logo Projectors ~ Power moonroof ~ Premium Package ~ Rain sensing wipers ~ Rear Spoiler ~ SD-Card Navigation Pre-Wiring ~ SiriusXM Satellite Radio ~ 17" Split Y-Spoke Wheels. Recent Arrival! 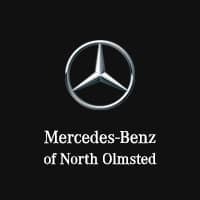 32/23 Highway/City MPG Mercedes-Benz of North Olmsted is the largest volume Mercedes dealer in the Central U.S. Our superior customer service has led Mercedes to honor us as a "Best of the Best" dealer for 10 consecutive years. We pride ourselves on having the finest pre-owned luxury inventory available, and aggressive pricing that's well below Kelly Blue Book. Allow us to serve you by arranging for vehicle shipping to your doorstep, personalizing a virtual vehicle walk-around, or assisting with any questions. Call us now at 440-716-2700 to speak with a sales professional and confirm vehicle availability. 2018 Mercedes-Benz CLA 250 4MATIC® $42,095 MSRP, former DEMO, never before titled! Lease me! Mountain Grey over Black MB-Tex, Panorama Roof, Smartphone Integreation, Garmin Map Pilot Navgiation, and much more! Call 440-716-2700! White over Black 2019 GLC, White over Black, featuring the Premium Package, Smartphone Integration Package with Apple Carplay, 18" 5-Spoke Wheels, Rear Chrome Trim, Chrome Door Handle Inserts, Rearview Camera, Blind Spot Assist, Heated Steering Wheel, Panorama Roof, LED Headlamps and Taillamps, Natural Grain Black Ash Wood Center Console with Brushed Aluminum Door Trim, Burmester Surround Sound System, Heated Front Seats, and Much more! $49,215 original MSRP! Warranty through 11/29/2022!